Welcome to a new standard of luxury, style and comfort. Kermans Flooring is pleased to be carrying the newest offering from Karastan: SmartStrand Silk. It's a beautiful and luxuriously soft yet durable carpet. We think you'll fall in love with its Silky Soft comfort. “What did you enjoy most about your purchase that you did not expect?” In overwhelming fashion, buyers stated that SmartStrand’s softness was incredible. The cozy factor in floor covering is what makes us want to stretch out in front of the television on movie night or cuddle near a lively living room fire. We want this for our families, whether we are cheering on those first steps or curled in a corner reading about secret gardens or curious monkeys or boy wizards. What makes our tough SmartStrand® carpets so remarkably gentle to touch? SmartStrand® with DuPont™ Sorona® fibers are made of 3GT molecules, a molecule structure that provides permanently engineered-in stain resistance. So we don’t have to apply topical stain-resistance treatments like nylon or PET polyester carpets do. No chemicals means there are no stiff strands or harsh-feeling fibers—just soft, inviting SmartStrand® begging for attention. With SmartStrand® carpet , you can give your family the comfort they love. SmartStrand® proves sustainability can be luxurious. 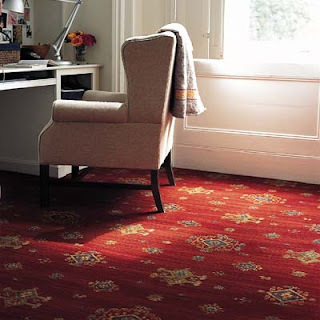 Where in Indianapolis can you find SmartStrand carpets? Kermans Flooring on the northside. Stop by our Castleton showroom and ask to see - and feel - the Karastan difference for yourself.